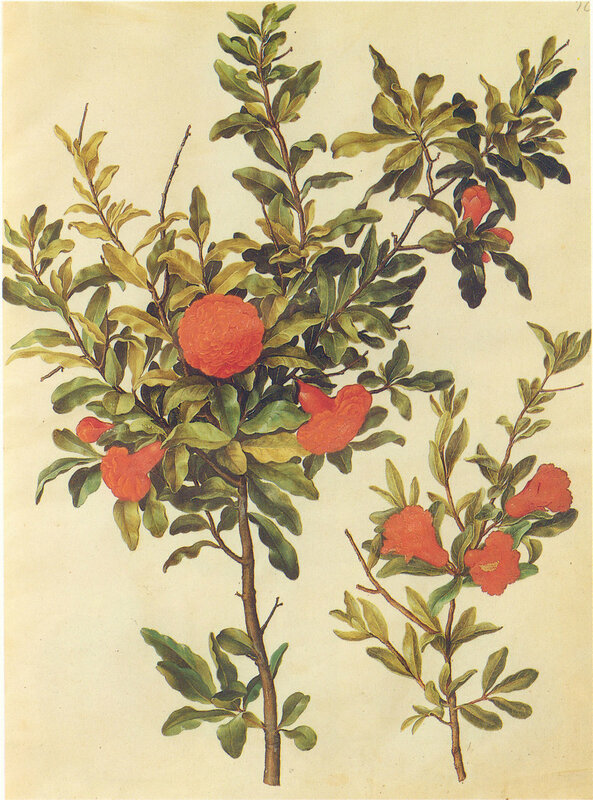 I have recently been getting into botanical drawings, 18th & 19th-century styles in particular. Drawing and painting flowers is something I have been interested in doing for a while, although as usual actually starting it off was the hard part. So when my friend Anna sent me through a commission opportunity I saw it as the chance to kick-start my floral exploration. The opportunity required me to come up with some high-quality botanical art to add to my portfolio, which is currently dominated by portraiture and urban environments. I've dabbled in trees, had flings with forests but never spent time just focused on capturing individual plants and flowers in exquisite detail. I had 1 week to produce something so I locked myself away, missed a couple of birthdays (sorry about that) and started researching classical illustrations. I bought a really nice book about botanical art which has served me well along with one about pressed flowers and, of course, rinsed google for all it was worth. My first attempt actually went quite well. I used a large sheet of 200gsm paper and sketched out 4 different plants in an arrangement similar to those found in Victorian plant reference books. I used a mixture of photographs and illustrations to work from as, at this stage, I just wanted to understand the style of the drawing rather than the anatomy of the plant. For the flower on the far right I first used a blunt 2H pencil to sketch the outline before using a softer 3B mechanical pencil to go over the outline. I then used watercolour quite sparingly to give a faded "old school" feel. For the middle pansies and the flower on the far left I used the same process initially with the blunt, harder pencil before outlining with the soft mechanical pencil. After that I used a yellow wash as an undercoat which I then painted over. This added a life and vividness to the drawings, particularly the greens of the pansies. I really loved using this method but, as you can see with my second piece (the sunflower) it can also lead to a muddiness if you over work the watercolour. I therefore added an ink outline which I found to be quite effective. Unfortunately for me (and for the same reasons I haven't been blogging as much lately) I ran out of time and could only get these two pieces done. I got on to the shortlist for the commission but didn't get any further - the experience has however, taught me that I need to diversify my portfolio and it's really gotten me into drawing plants and flowers more. I have since done a couple of other watercolour pieces based on illustrations. The next step is to work from life. One of the other things I love about those classic botanical reference books is the annotations, written in beautiful handwriting.